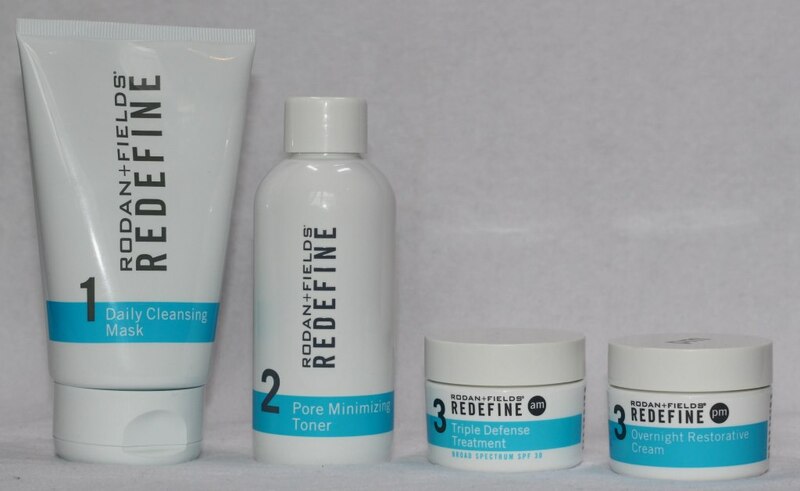 Rodan & Fields Redefine is a skincare regimen for the appearance of lines, pores and loss of firmness, that contains four full size products: Daily Cleansing Mask, Pore Minimizing Toner, Triple Defense Treatment SPF 30, and Overnight Restorative Cream. 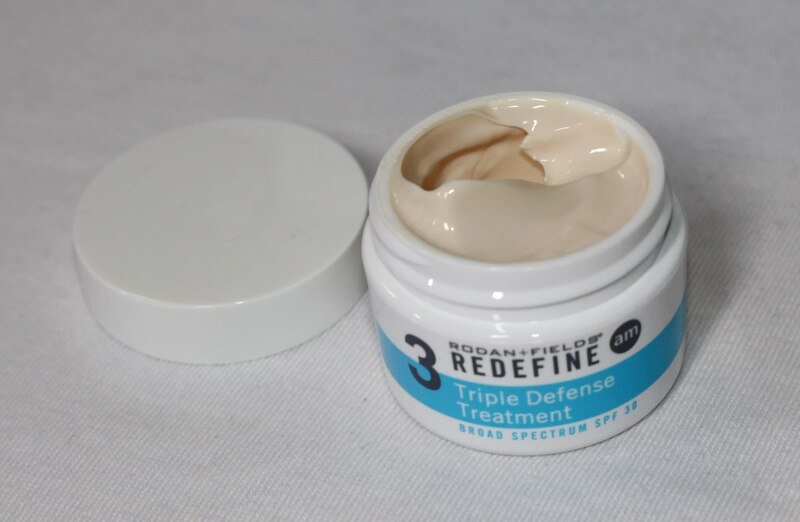 REDEFINE regimen layers cosmetic ingredients and proven peptide technology to help defend against and reduce the visible signs of aging for noticeably firmer, smoother, flawless-looking skin. Product information: Creamy, kaolin clay-based cleansing mask dries in two minutes, drawing impurities from pores without robbing skin of essential moisture. Fine dimethicone microbeads gently exfoliate to smoothe the skin without disrupting skin’s delicate moisture barrier. Purpose: For daily non-drying cleansing, gentle exfoliation and skin smoothing. Directions: Wet fingertips and massage a quarter-sized amount of product onto dry skin. 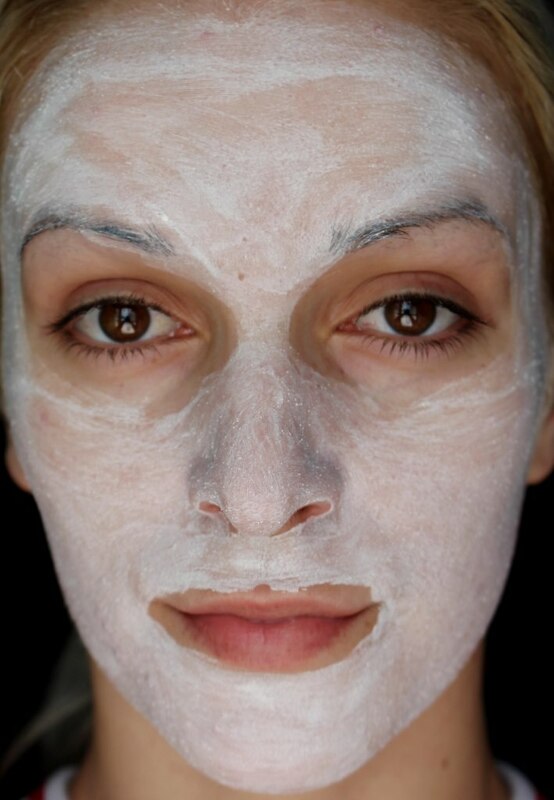 Cover the entire face with a thin coat of product, avoiding contact with eyes. Allow product to dry, approximately two minutes. Rinse thoroughly with water and pat dry. Use morning and evening and follow with toner. 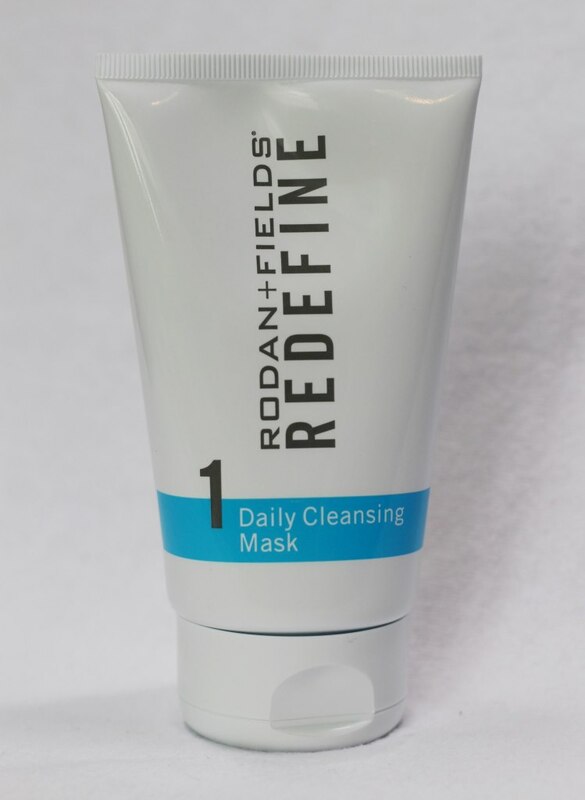 Verdict: I am absolutely in love with Rodan & Fields Redefine Daily Cleansing Mask. It is probably one of the best face products I have used. I massage it on a clean, dry face every morning and night, and then leave it on as a mask. It does not add extra time to my skin care routine, because I apply it and by the time I finish brushing my teeth, the mask is already dried and ready to be rinsed off. This exfoliating mask smells great and washes out easily and quickly leaving my skin extremely soft and smooth. I would recommend this wonderful product to anyone. Product Information: Exclusive combination of pore-clarifying ingredients minimizes the appearance of enlarged pores in this fast-acting, alcohol-free liquid vehicle. 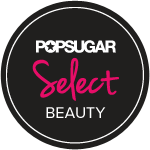 Gentle polyhydroxy acids exfoliate pore clogging dead skin cells while natural oligosaccharides help reduce the appearance of pores and prepares skin for the treatments that follow. Purpose: For gentle exfoliation and a minimized appearance of enlarged pores. Directions: After cleansing, apply evenly to entire face and neck with a fresh gauze pad, avoiding the eye area. Do not rinse off. Allow to dry. Use morning and evening. Verdict: Every time I use Rodan & Fields Redefine Daily Cleansing Mask, I pat dry my face and follow with Rodan & Fields Pore Minimizing Toner. I use a cotton round to apply the toner all over my face, avoiding the eye area. This alcohol-free toner is gentle and does not dry out or irritate my skin, however I know it works, because my skin feels tightened and I noticed incredible improvement of the condition of my face within the first week of using the toner. My large pores are drastically minimized and overall my face looks so much better and smoother. 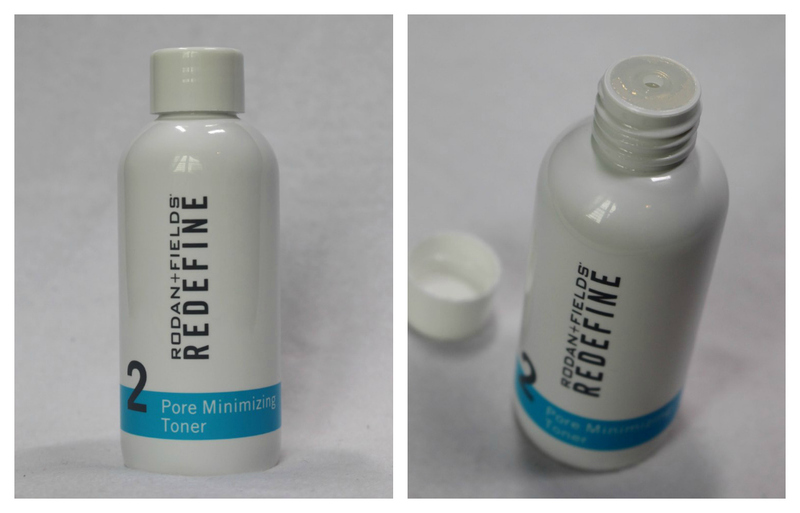 I would definitely buy Rodan & Fields Pore Minimizing Toner again, because it really works great for me and is totally worth it in my opinion. Product Information: Moisturizing treatment with photostable broad spectrum SPF 30 protection contains a clinically proven concentration of powerful peptides to reduce the appearance of lines and wrinkles and visibly firm skin. SHIELDrf provides effective broad spectrum UVA/UVB protection and visibly decelerates the signs of photoaging that appear over time. Optical brighteners minimize the appearance of skin flaws while skin protectant ingredients, dimethicone and hyaluronic acid provide moisturization. 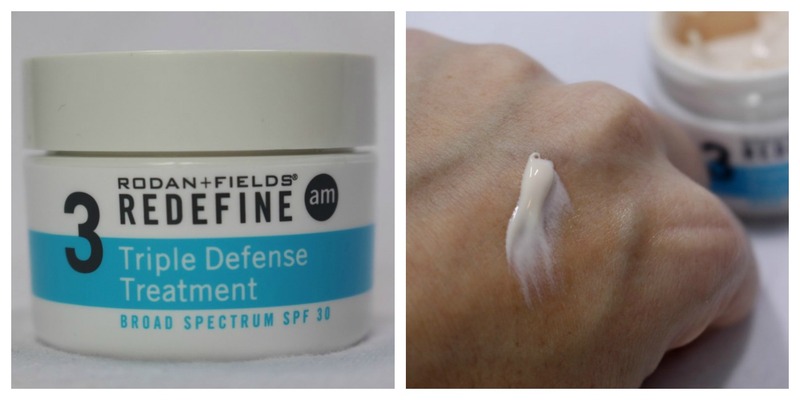 Verdict: Rodan & Fields Redefine Triple Defense Treatment has a nice creamy consistency that spreads easily and absorbs quickly, leaving the skin soft, smooth and radiant. I like that it has SPF 30, so I do not have to apply an extra sunscreen to my face. 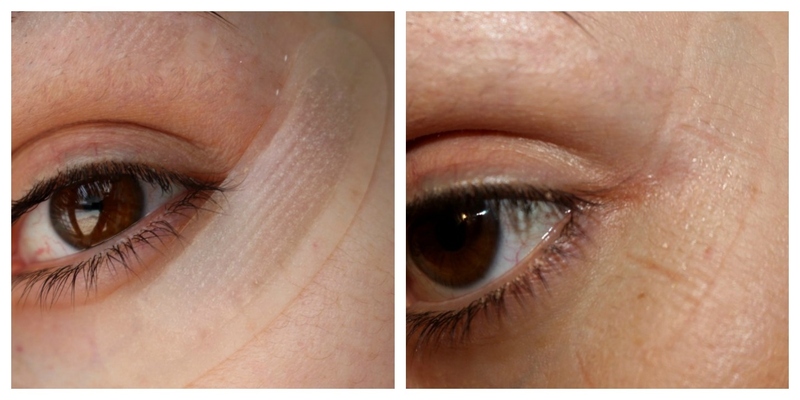 The cream doesn`t leave any sticky or greasy residue and is perfect for under makeup. Product Information: Ultra-hydrating cream which replenishes skin’s natural moisturizing factors (NMFs) while you sleep for visibly firmer, less-lined skin in the morning. Moisture recycling complex of hyaluronic acid and glycerin prevent moisture loss while 12-hour, time-released antioxidants A, C and E replenish vital skin nutrients. 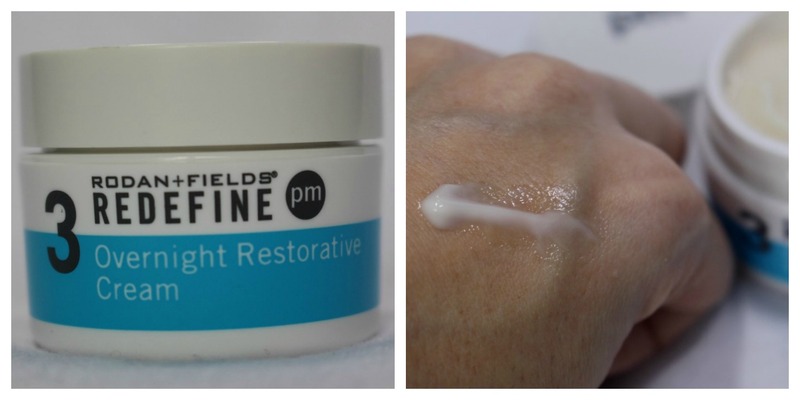 Verdict: Rodan & Fields Redefine Overnight Restorative Cream has luxurious lightweight consistency that spreads easily, leaving the skin nourished and deep hydrated and moisturized for the whole night. My face feels a bit sticky after I apply the cream, but it doesn`t bother me because I am going to bed anyway. My skin feels soft and replenished when I wake up in the morning. Rodan & Fields Redefine Regimen retails for $193 on rodanandfields.com or you can also purchase each of the four products individually. Keep in mind though that purchasing the whole set will save you $48, which is not bad at all. I am satisfied with the Redefine Regimen and even the high price I would recommend it to anyone suffering with enlarged pores, because the products are really as effective as they claim to be. 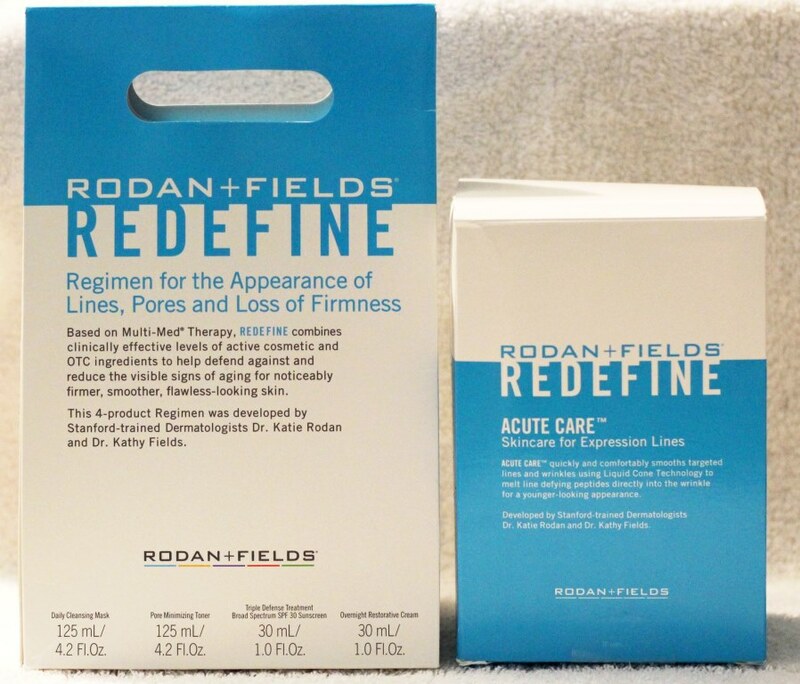 In addition to Redefine Regimen there is also Rodan & Fields Redefine Acute Care, which is skincare for expression lines. Product Information: REDEFINE ACUTE CARETM smooths expression lines with proprietary Liquid Cone Technology that melts line-defying peptides and hyaluronic acid directly into the wrinkle for a more youthful appearance. You can experience long-lasting results after ten applications, and you may even see results after the very first use. It’s so simple, you can do it in your sleep. STEP 1: Before applying ACUTE CARE, cleanse your face with Step 1 of your regimen. Skin must be completely clean and dry before you apply ACUTE CARE. Do not use any leave-on products underneath ACUTE CARE, including eye cream. 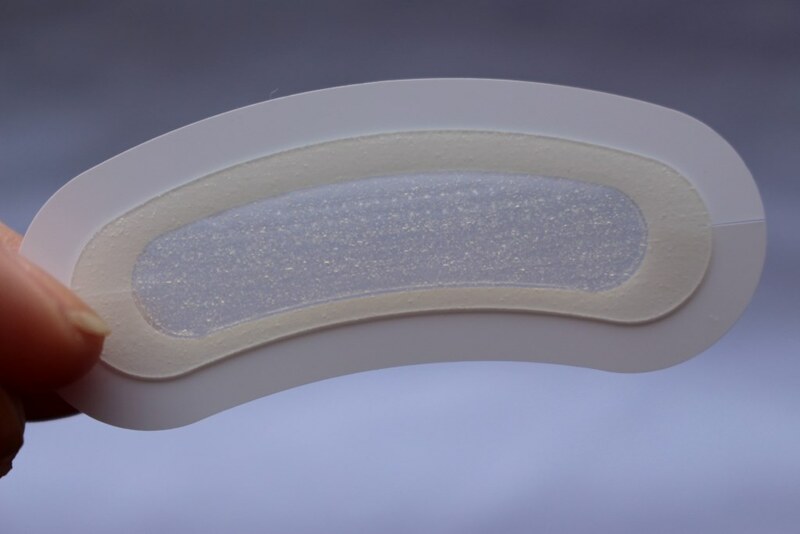 STEP 2: Tear open the pouch and remove ACUTE CARE from the transparent container. 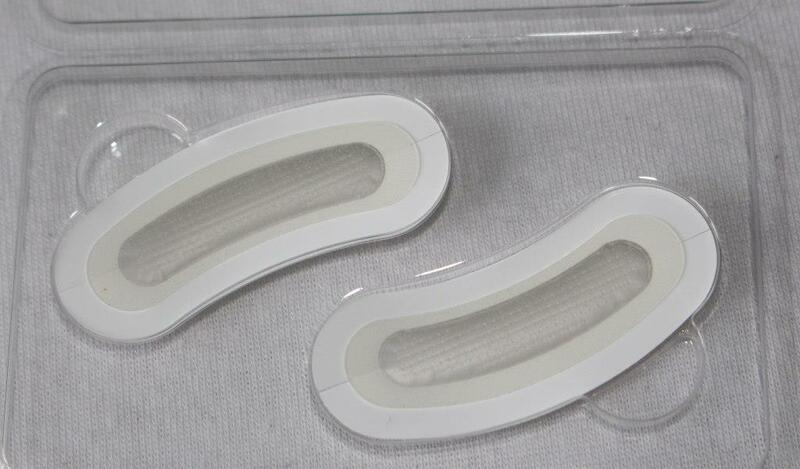 Carefully remove the white protective film and do not touch the delicate microstructure. For best results, use immediately after opening. STEP 3: Position ACUTE CARE over the wrinkle area and press the adhesive gently against relaxed skin (do not stretch the skin). Gently press to activate liquid cones and smooth out any bubbles. STEP 1: In the morning, gently remove ACUTE CARE from skin. 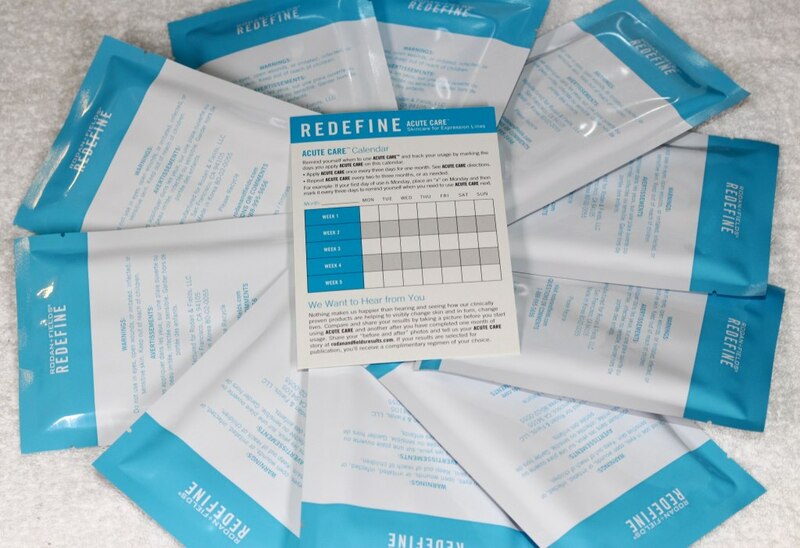 STEP 2: Remove residue with REDEFINE Eye Cloths and follow with your morning regimen routine. Verdict: There are ten pairs of patches in the box, individually packed in separate pouches. They should be used once every three nights for one month. I don`t have deep wrinkles, however in my late twenties, I do have fine lines under my eyes and this is where I tried Rodan & Fields Redefine Acute Care. I heard amazing stories from costumers using the patches, and how a lot of them have seen results after only the first use. Unfortunately my experience with them was not that good. I only used them four times and I decided to discontinue using them since my skin was red, dry and irritated after each use. They felt very uncomfortable under my eyes and overall was such a pain sleeping with them as well as removing them in the morning. Even though my skin does not reacted as wanted, I would not say that I don`t recommend Acute Care, because everyone`s skin is different and as I said, I heard that they work wonders for many people. So, if you have a chance to put your hands on them, don`t hesitate to try them and see how they work for you, and also don`t forget to leave me a comment below letting me know your experience and results. Wearing Rodan & Fields Redefine Acute Care patch and after I remove the patch my under eye area hurts and looks like this for at least 20-30 minutes. It is impossible to use them if I have to wake up and leave the house. Learn more here. Follow Rodan & Fields on Facebook, Instagram and Twitter. No affiliate or referral links are used in this post. Products are provided by Ifabbo and Rodan & Fields complimentary for testing purposes. All opinions are my own and 100% honest. Not sponsored.